City Centre South is the name for the major retail, leisure and residential development that will take place in the southern half of Coventry City Centre. The scheme is being promoted by Coventry City Council which is in the final stages of selecting a developer to construct the scheme. The West Midlands Combined Authority has recently approved a grant towards the scheme of £98.8m. Funding: The total costs of the scheme will be approximately £200m, with up to £98.8m in grant support from the West Midlands Combined Authority. Key Dates: Completion is planned for 2020. 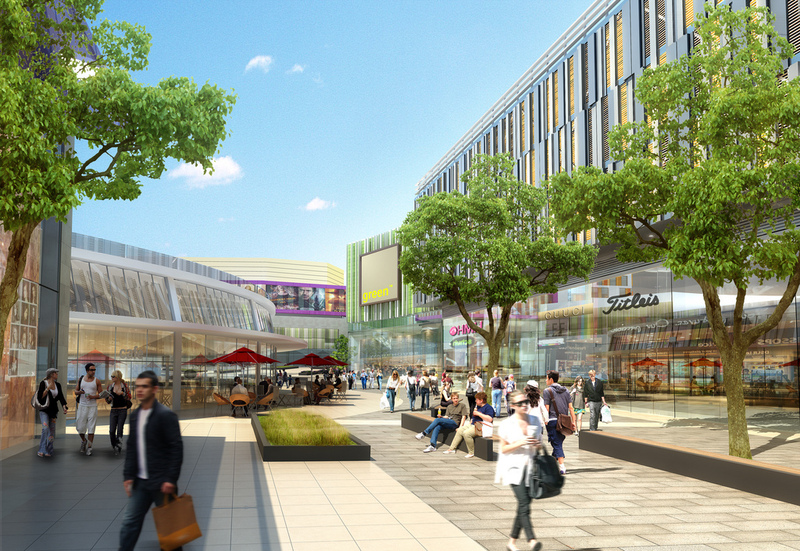 The 560,000 square foot scheme – which will deliver a complex the size of Solihull’s Touchwood development including shops, restaurants and cinema – was granted outline planning consent in 2012. The site, bordered by Upper Precinct, Greyfriars Road and Warwick Road, connects to Bull Yard, where it joins up to the new boulevard connection to the railway station. The new water park and health spa will also be located adjacent to City Centre South – providing a leisure and recreation anchor alongside the new shops and restaurants planned for the site.